Today Australian Olympic Committee President John Coates met members of the first-ever Australian Team to attend the four-yearly Asian Winter Games, being held at Sapporo, JPN. Team members included biathletes spectating at the short track event, pictured below, Jill Colebourn (left), Darcie Morton (second from right) and Jeremy Flanagan (right). SAPPORO: Warm and friendly greetings have been extended to the Australian team as part of the official Asian Winter Games Welcome Ceremony. The Games, which begin in Sapporo on Sunday 19 February, have attracted 1,200 athletes from 32 countries and it is the first occasion that Australia has received an invitation to participate. Australia joined with delegates from Pakistan and Lebanon to mark its official arrival to the Games and the proceedings included a flag raising ceremony, playing of the national anthems and meet and greet with the Games’ official mascot Ezomon. Australia’s opening ceremony flagbearer Deanna Lockett played an active role, presenting the Sapporo 2017 Organising Committee with a team scarf. In exchange, Lockett accepted a traditional Japanese gift of 1,000 paper cranes which was given to wish the athletes a safe and successful visit to Sapporo. The gift was handcrafted by local children with each crane made one-by-one. Australian Biathlete Jeremy Flanagan was among the group of athletes in attendance and he was excited to make the ceremony having arrived in Sapporo from Kazakhstan the same day. Even though it is still early stages, the 21-year-old said the Asian Winter Games was nothing like he had seen before. “Probably the biggest competition I’ve ever seen,” Flanagan said. Flanagan is one of a number of Aussies who are experiencing a multi-sport competition for the first time. Asian Winter Games 2017 Athlete’s bag! The Asian Winter Games begins Sunday with Aussies Christian De Oliveira, Nick Masjuk and Mille Bongiorno in action in the Snow Board Giant Slalom. Asian Winter Games are Go! The Asian Winter Games are go! Pictured is the first group of the Australian Team, including biathletes Jill Colebourn (front, third from right) and Jeremy Flanagan (back, second from right). Pic thanks to the Olympic Winter Institute of Australia. As reported last September, Australia’s inclusion is a boost for a number of up-and-coming and established Australian winter athletes who will get the chance to test themselves against the best Asia has to offer. “Being able to compete at such a high level is the only way our athletes will continue to get better,” said Biathlon Australia president Grant Flanagan who was also a key figure in Oceania being added to the event. Australia will be able to compete in all individual events which include skiing (alpine, freestyle and cross country), snowboarding, biathlon, speed skating, figure skating, luge and bobsled. An invite was afforded to all Oceania nations after Australian Olympic Committee President John Coates wrote to the Olympic Council of Asia (OCA) requesting Australia be a part of the eighth edition of the event. “The Asian Winter Games have become a very high level competition with over 30 National Olympic Committees taking part,” OCA General Director General Husain Al Musallam said. Australia has continued its steady progression in winter sports in recent years and the chance for a contingent of athletes to gain more international experience can only further aid development. The 2017 Games will feature a total of 64 events across 11 sports with Australia able to compete in all but the ice hockey and curling competitions. The event will be hosted for the third time in Sapporo with Japan’s fourth largest city having also held the first two editions of the Games in 1986 and 1990. The rest of the competitions have been contested in China, South Korea and Kazakhstan. Biathlon events start on Thursday 23 February with Sprint races, followed by the Pursuit on 24 February and a Mixed Relay on 25 February. 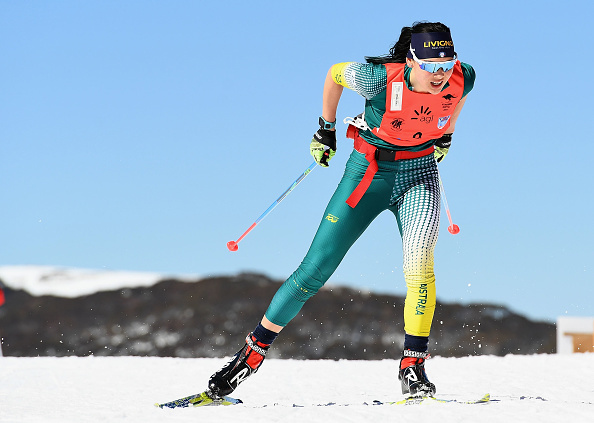 Four members of the Australian Uniroo Team for Winter University Games have made Australian Biathlon history. At the business end of the Northern Hemisphere season, the 2017 Winter Universiade was held at Almaty, KAZ. With over 2,000 participants across a number of winter sports, it was invaluable “big stage” experience for the young Uniroos. Biathletes made up over half the Australian Uniroo team, and were up against tough competition, with biathlon teams from other nations including current participants at World Cup, World Championships and IBU Cup. The four biathlete Uniroos were: Jill Colebourn (21, Mechatronics, University of Sydney), Jeremy Flanagan (21, Science, University of Melbourne), Tim Flanagan (20, Science, University of Melbourne) and Sabrina Howell (19, Psychology, Macquarie University). With strong teams from traditional biathlon nations, including France, Russia and Ukraine, the Uniroos aimed for PBs; in particular, it was excellent experience to have a “minirace” with Canada in the first-ever Mixed Relay (2 Men, 2 Women) for any Australian Biathlon Team. Jill Colebourn had her own “minirace” against SLO in the Women Mass Start, becoming the first and only Australian Woman to finish a Mass Start event. From here, Tim Flanagan returns to Australia to study, while Jill Colebourn, Jeremy Flanagan and Sabrina Howell move to a special training camp in Italy. After the camp, Howell will attend IBU Youth/Junior World Championships at Brezno-Osrblie, SVK, while Colebourn and Jeremy Flanagan will attend the Asian Winter Games in Sapporo, JPN, the first time ever that an Australian Team has attended this four-yearly event. AOC: A team of thirty athletes have been selected to become Australia’s first event competitors at an Asian Winter Games when they hit the ice and snow in Sapporo in February. The team, which features some of the nation’s brightest winter prospects, was selected to compete in snowboard, freestyle skiing, alpine skiing, cross country skiing, biathlon, short track speed skating and figure skating. The event will give a host of young athletes the opportunity to compete against the continent’s finest as many look to build towards the PyeongChang 2018 Winter Olympic Games. “Our team we have selected for Sapporo 2017 features plenty of athletes on the rise that highlight the continued strengthening of winter sports in Australia,” Chef de Mission Geoff Lipshut said. Among the athletes competing are three-time Olympian Holly Crawford (snowboard – halfpipe), Vancouver 2010 Olympian Ben Sim (cross country skiing), and Brendan Kerry (figure skating), Pierre Boda (short track speed skating) and Deanna Lockett (short track speed skating) who all competed in their first Games at Sochi. “It’s an honour to represent my country at an event like this,” Kerry said. “It’s a little unnerving when thinking about how big this event is and the added pressure, however it’s also exciting and an incredible feeling knowing that you are the one chosen from your country to represent it as the best. Fresh off testing out the PyeongChang 2018 venue in last week’s World Cup Pierre Boda and Deanna Lockett will have arguably the most difficult test at the Games. “Asia is very dominant in short track,” Lockett said. Woods-Topalovic, Ben Matsumoto, Sophie Ash and Jakarra Anthony some major international event experience. “I think this will be a great opportunity for me to experience a bigger event atmosphere,” Anthony said. As Australia’s biathlon ranks continue to deepen, Sapporo will see four young guns in brother and sister duo Darcie and Damon Morton, Jill Colebourn and Jeremy Flanagan compete. “As an Olympic sanctioned event, I think it will be a good experience into what an Olympics would be like,” Damon Morton said. Darcie has had a massive 12 months having competed in the Lillehammer 2016 Youth Winter Olympic Games in February and is looking forward to competing alongside her brother in Japan. “It will be awesome to travel to Japan and race with Damon,” Darcie Morton said. The 8th Asian Winter Games will be held from February 19-26 and involve five sports, 11 disciplines and 64 events. The Olympic Council of Asia invited the Oceania National Olympic Committees to compete in Sapporo as guests, following an approach by the Australian Olympic Committee. The athletes from Oceania can enter individual sports only and will not be eligible to win medals.